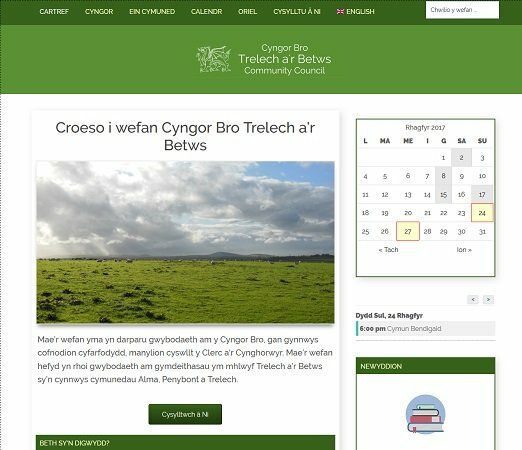 We created this website for Trelech a'r Betws Community Council to help them meet the aspects of the Local Government (Democracy) (Wales) Bill that requires each Community and Town Council to make basic information available online. It was necessary to include Council related information including meeting agendas and minutes, and for the site to be bilingual (English & Welsh). Not being Welsh speakers this was quite a challenge and we couldn't have done it without the majority of translation of content being done by the Council Clerk! It was also requested by the Council that it should include information on local groups and organisations and their news and events. Wordpress is the perfect Content Management System (CMS) for a site such as this. By using Posts and Events controlled by categories it is very easy for appointed Editors to add new information to the site to be displayed in the relevant areas. We hope it becomes a useful local information resource. Being relatively free of large images or anything else to slow it down the site functions quite quickly. There are essentially two versions of the website, one in Welsh and one in English, and we are pleased with how both work depending on which language is chosen by the 'language switcher' in the navigation menu. 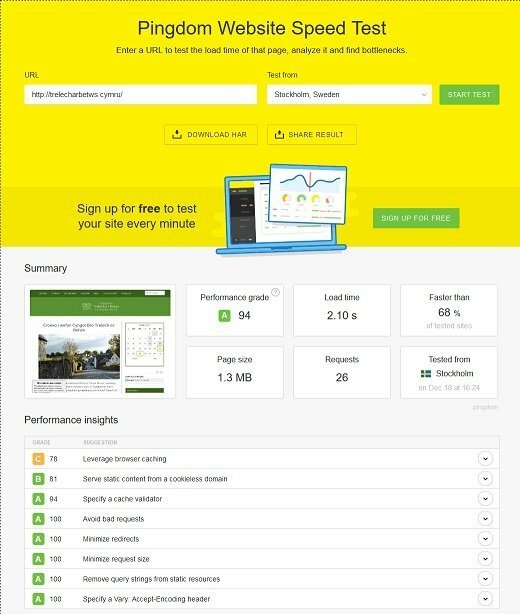 We are also pleased to get a score of 94 with Pingdom Website Speed Test!